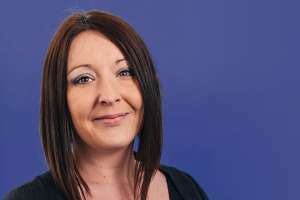 Hannah runs the Clevedon office of Star Legal. She specialises in property work, predominantly residential. She is very familiar with the property market in North Somerset. Hannah graduated from the University of the West of England in 2003 and qualified as a solicitor in 2006. Hannah grew up in Clevedon and has strong links with local businesses and trading associations. She obtained a Masters degree in commercial property in 2008. We wanted to once again thank you and your team very much for your assistance during the our purchase of the property. We were very impressed with the service we received from everyone we dealt with at Star Legal and found everyone to be extremely helpful and professional, and willing to assist at anytime. We were happy with everything. We felt informed and able to ring or email if we had an queries. Outstanding service on a very difficult conveyancing matter...you went above and beyond. Just wanted to say a thank you once again for all your help now that we have completed on our sale. You've been amazing, thank you. I'd recommend you highly to anyone I know in the future. Fantastic service. Thank you for your help (and patience) with my recent purchase. First class service, Thank you. Your patience and support through a pretty stressful time were much appreciated. We were very pleased with the service and advice provided. The best solicitors I have experienced. Really brilliant communication and very efficient service.